Two people were killed and dozens others injured when a Borneo Railway slipped off track due to landslip and plunged into the Padas River in Tenom in the interior of Sabah. Photo by The New Straits Times Press. KOTA KINABALU: A normally-serene journey in interior Sabah turned into a nightmare for 41 people when a train plunged into the fast-flowing Padas River, killing two passengers. Four others on board the two-carriage train were injured as passengers scrambled up a steep slope in the tragedy that occurred after a landslip in Kampung Pangi near Tenom, about 170km from here. Police have identified the two dead as a local woman from Kg Melalap in Tenom and a Timorese man. 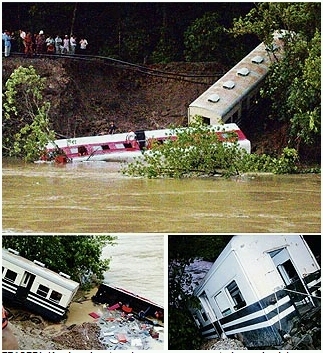 Tenom OCPD Deputy Supt Mazlan Lazim said both were believed to have drowned while trying to swim out of the train. 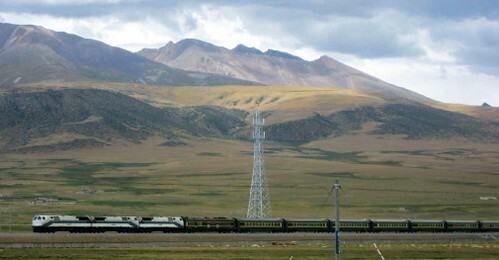 China South Locomotive and Rolling Stock Industry Corporation has been invited to conduct a feasibility study on an ambitious plan to build statewide railway lines in Sabah, the Malaysian state on the northern part of Borneo Island.